There's nothing like having a large and enthusiastic audience singing along with you. CRITICAL MASS puts that magic right at your feet in an easy to use stomp box. Whether you're pounding out arena rock-style anthems or leading worship at your church, having group vocals on demand allows you to set the mood and engage your entire audience. Choose from "melodic" or "gang" style vocals that suit any style of music with no key or scale input required. Reverb simulates a physical space, allowing your voice to fit into the music perfectly. Whether it's the ambience of a small room, or the massive reverberation of a concert hall, CRITICAL MASS' 3 vocally tuned reverbs always brings out the best in your voice. 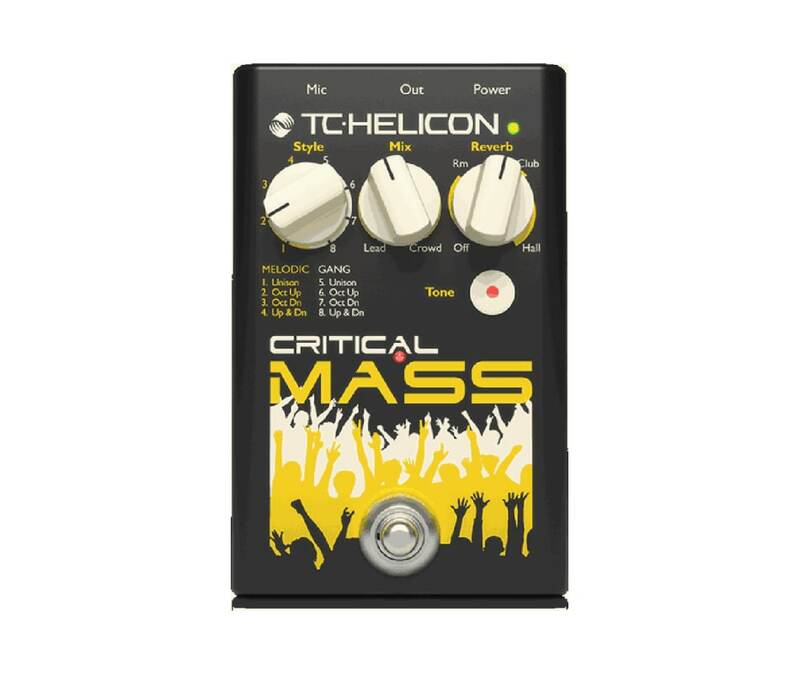 CRITICAL MASS' Adaptive Tone (equalization) with compression, de-esser and gate automatically control the timbre and shape of your sound, ensuring every note is pristinely clear and intelligible. When the crowd hears exactly what you're singing, they can join in - and there's nothing better than that! You're a singer first and foremost, so getting knee-deep in technology probably isn't what your gig calls for. That's why CRITICAL MASS automatically sets your mic gain to the optimal level, allowing you to concentrate on giving your best performance - night after night.